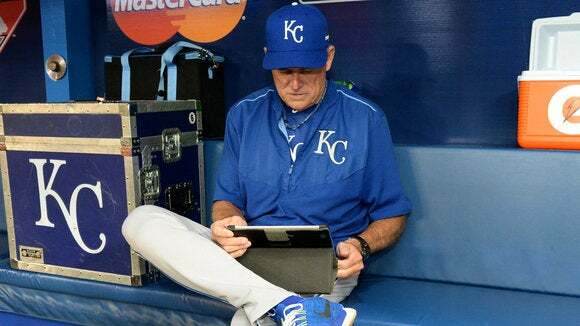 Coaches will use Apple's mega-tablet and a new MLB Dugout app to tap into game data in real-time. The iPad Pro is stepping up to the plate. Apple has struck a multiyear partnership with Major League Baseball to equip every coach in the league with a 12.9-inch iPad Pro. According to The Wall Street Journal, MLB coaches are expected to use the iPad Pros to browse through performance stats from various seasons, calculate how a hitter will do against a certain pitcher, see “spray charts” of where the hit ball is most likely to go, and pull up videos from previous games. Even though Major League Baseball has had a longstanding love affair with data, this marks the first time that teams will have instant access to it via a mobile tablet. Manfred said that the Apple deal coincides with the organization no longer banning laptops, tablets, and smartphones in dugouts. According to Apple, the partnership goes beyond simply replacing binders with iPads. Apple’s senior VP of marketing, Phil Schiller, told the WSJ that the iPad will enable coaches to do things that were just not possible before. For example, without an iPad, players who want to watch footage from previous games have to rush back to the locker room. These iPad Pros will come with a brand-new app that was designed specifically for tapping into a team’s analytics in real time. The app, MLB Dugout, was developed by the league’s Advanced Media division, with help from Apple. The data stored on each iPad will be proprietary to each team, and there will be no league-wide database, according to the WSJ. Even though having an iPad Pro might not wildly revolutionize America’s favorite pastime, coaches say that there are certain situations when the tablets could come in very handy. “When the game changes in unexpected ways, that’s when it’ll be really useful,” the New York Mets’ third base coach, Tim Teufel, told the WSJ. In addition, Manfred hopes that the iPads could also help speed up the games. 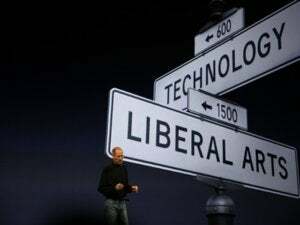 With this new partnership, Apple seems to have taken a page right out of Microsoft’s playbook. Currently, the National Football League is in a four-year agreement to use Microsoft Surface tablets. The NFL-Microsoft deal was worth about $400 million, but neither Apple nor the MLB disclosed financial details (we’re assuming it’s somewhere in that ballpark). One major difference of the Apple-MLB partnership is that the use of the iPads is actually optional, whereas the NFL requires Surface tablets to be visible on every sideline. For the iPads’ sake, let’s just hope that this optional clause makes players use the tablets more thoughtfully.